From November 22nd to November 25th 2012, the John Cabot Investment Club traveled to Malta, and had the opportunity of meeting with various hedge funds, asset management firms and brokerage firms in Valletta, Sliema and St. Julians. The Investment Club also visited the Malta Stock Exchange. On December 4th, JCU's LGBT-Straight Alliance Club hosted John Cabot's Fall Talent Show in partnership with the Multicultural Club and the Matthew. When I first heard about JCU, back in the eleventh grade, it was as if destiny took a hand in my search for the right school. On October 23 JCU students, faculty and friends gathered in the Tiber Cafeteria for the second annual Oxfam Hunger Banquet. On March 30th and 31st, two dozen Italian high school students ascended into John Cabot University to participate in John Cabot University's Model United Nations (JCUMUN) Conference, sponsored by JCU's Model United Nations Society. On Wednesday, February 15th, the John Cabot University community came together in support of a worthy cause with a student-hosted, fund-raising concert for Mission Lazarus, an NGO based in Honduras. JCU's STAND, a division of the Genocide Intervention Network, has donated $450 to the Strathmore University Scholarship fund in Nairobi, Kenya. 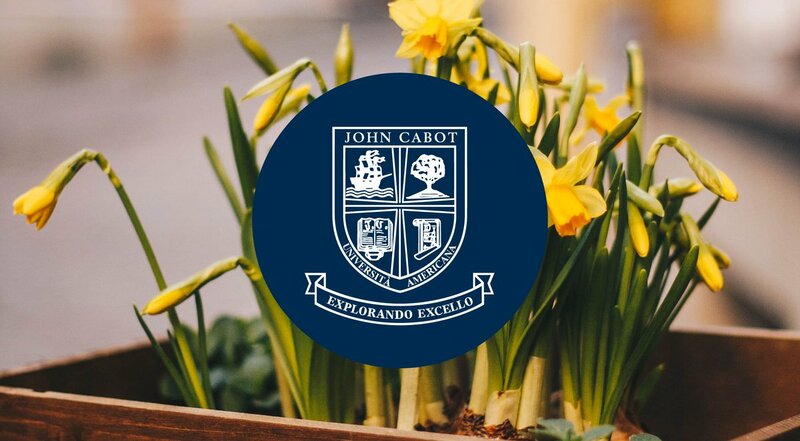 John Cabot University's STAND is raising the awareness of the plight of refugees among American college students from the University of Delaware.